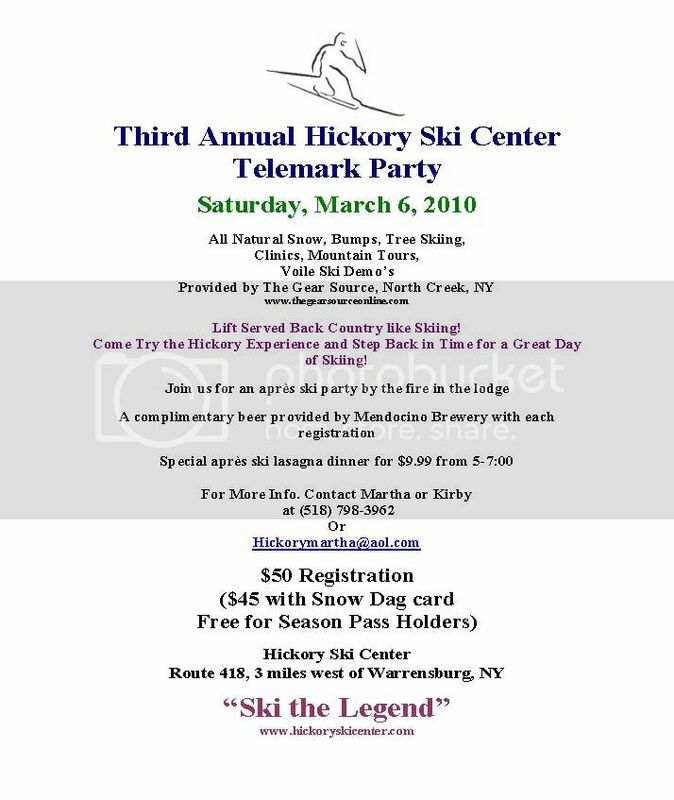 The Hickory Ski Center Telemark Festival is Saturday March 6, 2010. We recieved 40 inches last week and are set up great. come and enjoy the fun. Last edited by K man on Tue Mar 02, 2010 10:54 am, edited 1 time in total. Hickory recieved about 40 inches last week and is set up great for the telemark festival. Get ready to try those Voile drifters in the demo area in this new snow, tour de trees, free beginner & intermediate clinics, taste Olde Saratoga Lager micro brew and a down home lasagna dinner during the apres ski party.